Most people’s lives are stressful! We all encounter stress in our lives, to one extent or another. Most people are aware of its impact on our bodies -- it can lead to panic attacks and anxiety disorders and even at a lesser level lead to lack of sleep, irritability and difficulties focusing. Most people however aren’t aware of its impact on our oral health. 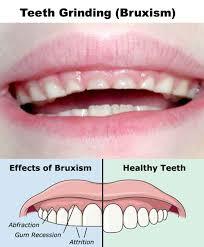 Sadly our mouths have just as much of a chance of being affected by stressful situations as our bodies and minds do. In honor of National Stress Awareness day April 16th, San Francisco Cosmetic, Restorative and Implant Dentist Dr. Edward L. Loev DMD and his team decided to share some information that they gathered about how stress impacts our oral health. Dry Mouth – Most of us have experienced dry mouth at one point or another but when this condition persists due to illness, medication or even stress it can make chewing, eating, swallowing and even talking difficult. Saliva helps control harmful germs in the mouth and helps to prevent tooth decay and other oral infections; when it’s lacking the mouth has a harder time keeping these conditions at bay. If you suffer from dry mouth (xerostomia) talk to you dentist or dental hygienist about it; they have some tips to help you. TMJ/TMD – Contributing factors to temporomandibular joint disorders are many, trauma and tooth grinding (often associated with stress) are common causes of TMD. Emotional factors such as anxiety and depression which often have a cause and effect relationship with stress can also trigger symptoms of TMJ. On the flip-side painful dental problems can increase our levels of stress and anxiety. Also, our ability to tolerate pain is compromised when our bodies are struggling to adapt to stressful events and situations. As a result, tooth pain can become exacerbated during times of stress. Take a deep breath and De-Stress! We know that when you are stressed the dentist is often one of the last places that you think of going. Dr. Loev and the rest of our team hope that at least when you are in the office; that we have managed to create an environment in our 450 Sutter Street dental office of as little stress as possible and that you are able to relax (as much as is possible at the dentist). We hope that when not in our office you take the time to focus on yourself and your oral hygiene regimen, and don't use smoking or excessive alcohol to relieve stress. It sounds cliché but try and take measures to reduce stress in your life, such as eating well, exercising and getting plenty of sleep. If you suffer from extreme anxiety or depression, don’t suffer alone seek professional help. If you're worried that stress is affecting your teeth or gums, call us! 415-392-2072- We can treat many dental problems and dental pain caused by anxiety and offer suggestions for better dental care or just give your teeth a good professional dental cleaning so that they feel good and -make the rest of your body and smile feel healthy.